7 PM: ALLISON NEALE'S "WEST COAST QUARTET"
Seattle born altoist and flautist Allison Neale is largely unique on the British Jazz scene, renowned for her cool, melodic alto sound reminiscent of the West Coast musicians working in California during the 1950s. As a true specialist and advocate of the style, her strong personal voice and authentic approach has awakened a fresh new interest in this lesser known aspect of the American Jazz idiom in recent years. During her career she has played alongside Duke Ellington vocalist Adelaide Hall, Bud Shank, Dave Cliff and Scott Hamilton as well as featuring in the John Dankworth “Generations” Band. She has released four CDs as a leader and her most recent record due to be released in 2019 pairs her with world renowned New York guitarist Peter Bernstein. 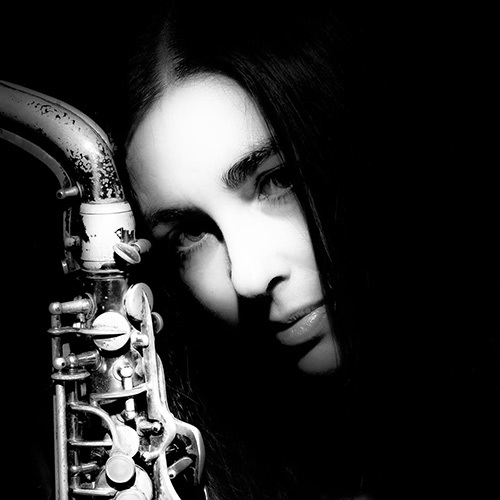 Here she is featured with her fine quartet celebrating the music of Art Pepper and Bud Shank, showcasing rarely played arrangements from their historic quartets during this period, alongside compositions from tenorists Bob Cooper and Richie Kamuca, known for their work with Stan Kenton, Shelly Manne and Shorty Rogers. Support tonight comes from double bassist Luke Steele with pianist Gabriel Latchin, who will be performing in the club's restaurant during dinner before the main act, with food available from 6pm until 7.50pm.